All are welcome. Come when you can, with gloves and secateurs if possible, but we do have some gloves and tools. To mark the 80th anniversary of the death of Frank Bellamy, the Oxford Philatelic Society organized a ceremony at his grave in St Sepulchre's Cemetery on 15 February 2016. Bellamy paid a key role in the development of the Oxford Philatelic Society and also helped to establish the Oxford Photographic Society, and contributed significantly to astronomy in his post as an observational astronomer at the Radcliffe Observatory. Members of the Friends of St Sepulchre's, the Oxford Philatelic Society, the Ashmolean Natural History Society of Oxfordshire, and the Museum of the History of Science were in attendance. 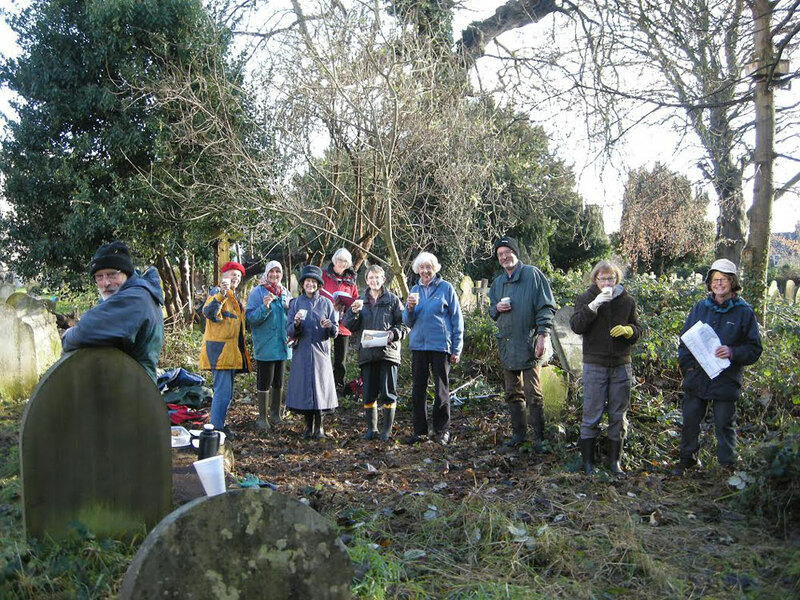 Oxford City Council Cemeteries Service and the Friends of St Sepulchre's Cemetery were awarded a Certificate by the Oxford Preservation Trust on 3 November 2015 for making the cemetery “a more welcoming destination in Oxford”. 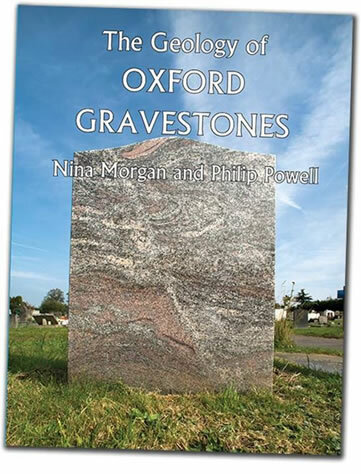 This new book by Nina Morgan and Philip Powellincludes 14 graves from St Sepulchre's Cemetery, made of crinoidal limestone, Pennant sandstone, Welsh slate, Carrara marble, Hornton stone, and Cornish, Peterhead, Shap, and pink granite. There are no War Graves in St Sepulchre’s Cemetery; but there are 16 inscriptions in remembrance of family members who died in the First World War and were buried overseas or whose bodies were never found. There is also one to a German violinist who married an Oxford girl and died of tuberculosis contracted while he was in an internment camp on the Isle of Man. There is a plan attached to the cemetery gate under the arch showing where these graves are, and a piece of red wool has been tied around each of the relevant graves to make them easier to find. 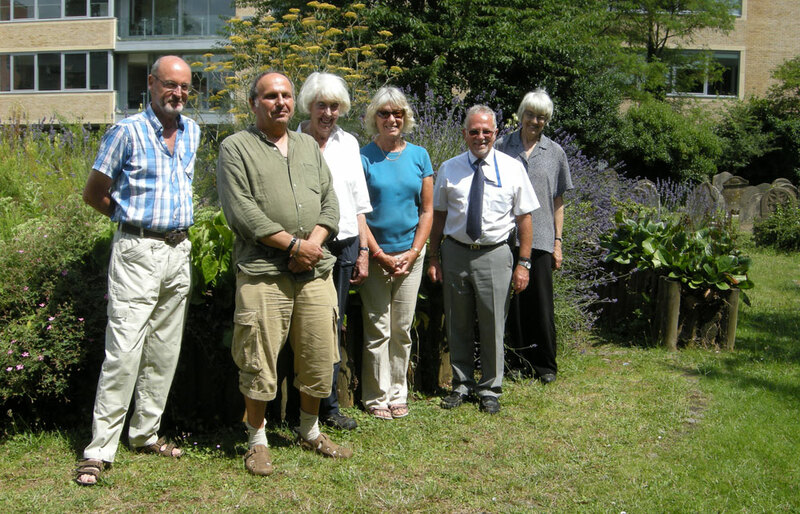 Members of the gardening group joined Oxford City Council Cemeteries Manager Trevor Jackson and Councillor Susanna Pressel for an Oxford Mail photoshoot at the cemetery on 21 July 2014. This photograph was taken by Peter Strong at the garden seating area, which is looking particularly good this summer. 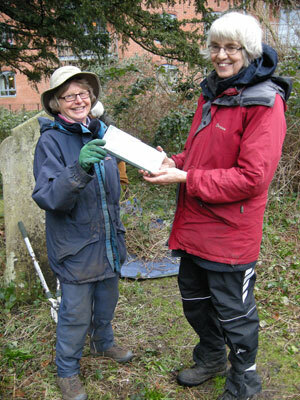 The group uncovering and tidying the graves in St Sepulchre’s Cemetery has no funding and is always in need of tools. If you have an ancestor buried here and would like to donate a tool by purchasing it online and arranging for it to be sent directly to us, please email. We particularly need long loppers, secateurs, and drag-mats. The photograph shows two members of the gardening group admiring the secateurs donated by this method in memory of Mark Dugald Stark by his great-granddaughter. One was a cross which appeared to have the name Albert and KIA.